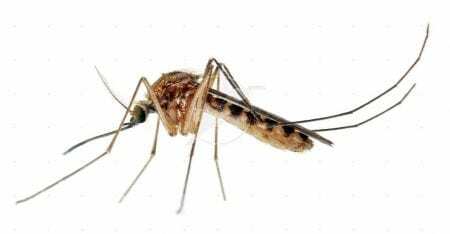 A horse in Windham County, Vt., has died from West Nile Virus (WNV), say state agricultural officials. The virus is spread by the bite of infected mosquitoes. The infected horse had not been vaccinated against the virus. Horses infected with West Nile may have a fever, and show signs of weakness and impaired vision. They may also not be able to swallow and walk in circles. Officials are urging horse owners to vaccinate their equines. West Nile has been found in all areas of Vermont. No human cases of West Nile have been reported yet this year. It cannot be transmitted between horses and humans Infected humans generally do not become ill from the virus, but about 20 percent can develop flu-like symptoms. In rare cases the disease can be fatal. This entry was posted in Horse Care and tagged contract, disease, flu-like, infection, mosquitoes, west nile virus, wnv by Paulick Report Staff. Bookmark the permalink.